Crufts has come and, thank goodness, gone for another year. 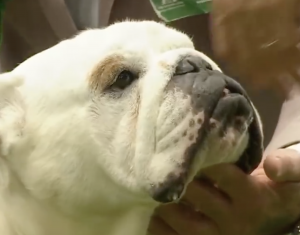 With the recent and ongoing media storm over brachycephalic animals and the huge popularity of breeds like pugs, Frenchies and English bulldogs there was always going to be close scrutiny of this year’s winners. It’s not just these breeds in trouble and there was huge outcry after some of the dogs passing vet checks in recent years were clearly struggling anatomically. 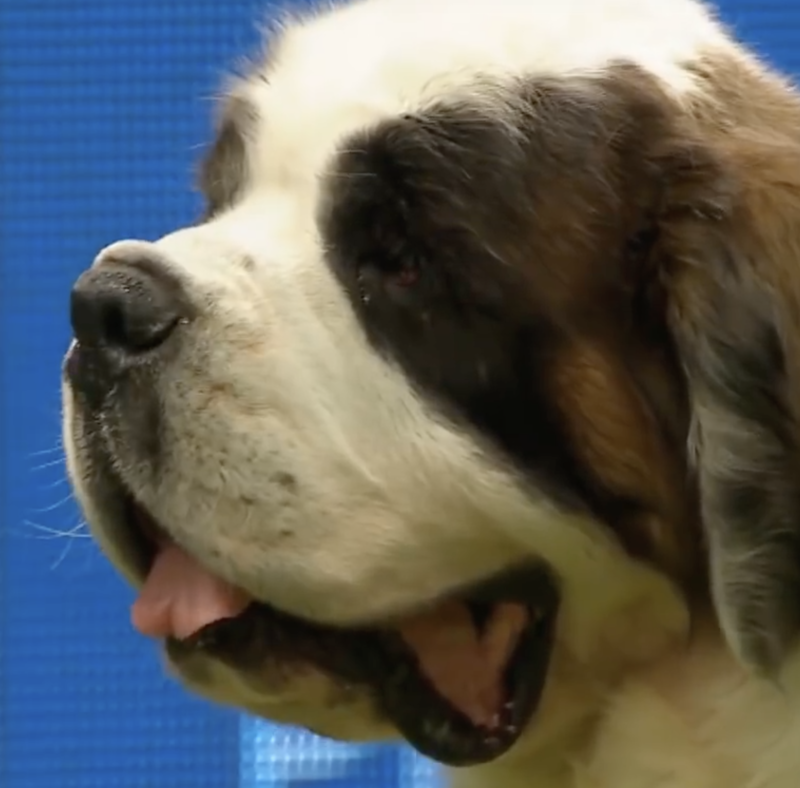 The Kennel Club has gone out of its way to appear to be making breed standards less extreme and telling judges what to reward and what to avoid. This year they had a real opportunity to shine and show that they are indeed making a difference. They’re not. When I was researching my upcoming book I bought the updated 2017 breed standards book that the Kennel Club has produced to showcase its new healthier standards. The odd thing is though that the photos that accompany the standards actually beggar belief. How are people supposed to breed less exaggerated animals when the animals shown as being what the KC feels is the epitome of the breeds are staggeringly exaggerated? Stenotic nares and skin folds abound, obesity is rife and the dachshunds barely clear the ground. This year’s BoB. Big nose roll, closed nostrils, undershot and on some shots quite marked ectropion in the left eye. The bulldog that won this year’s Best of Breed had poor nostrils and a big nose roll, something that the breed watch guidelines clearly advise against. The breed standard for the bulldog says that you should not be able to see the teeth when the mouth is closed. The BoB has visible lower incisors poking through the lips due to the fact the dog is so undershot. Many breeds affected by degrees of brachycephaly have stenotic nares. 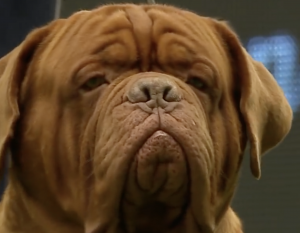 This BoB Dogue de Bordeaux and the BoB Frenchie this year were other classic examples. The pug, the breed that seems to be currently most devastated by airway disease, let alone the other brachy issues like eye trauma, would surely be interesting to see. In Copenhagen last year at the WSAVA congress global veterinary specialists gathered to talk about extremes of conformation. 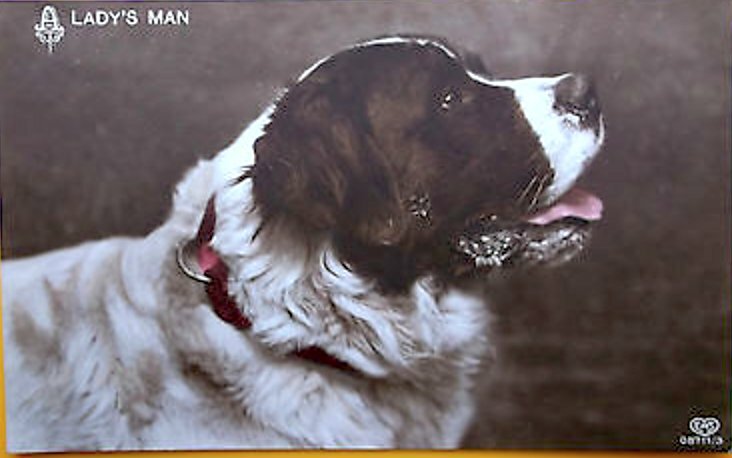 Obesity is known to greatly exacerbate signs of respiratory problems and BOAS in these dogs. 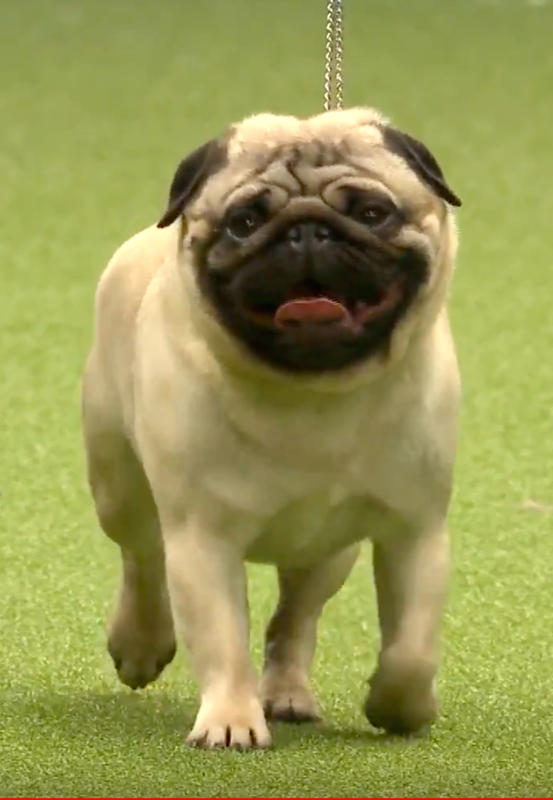 I mentioned at this conference, as I did at London Vet Show some years ago, that the current breed standard for the pug STILL says it should never be lean. The pictures of the pug in the 2017 breed standard book show a clearly obese dog with no face to speak of, another big nose roll and no nostrils. 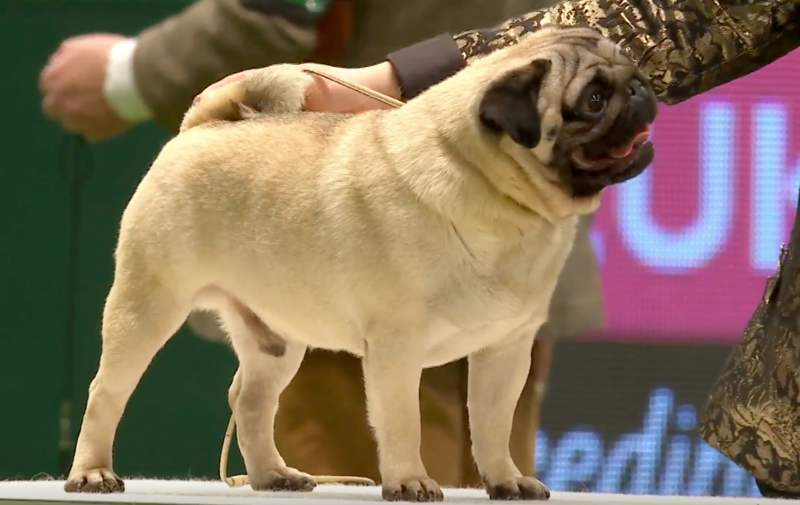 As you can imagine the BoB pug at Crufts this year was also clinically overweight. The KC had told judges not to award fat dogs but that seems a little unfair when the breed standard they set years ago, updated and left unchanged in 2017 and display in their own breed photos seems to call specifically for an obese, extremely brachycephalic animal. Who is to blame if the breeders produce that and that’s what the judges are judging to? Very brachycephalic, marked wrinkles and clinically overweight. In other areas it was clear that the brachy creep was evident in other breeds like the Saint Bernard. Jemima Harrison tweeted this year’s winner compared to an old one from 1913. The more natural, gentle slope of the nose has turned into an abrupt right-angle, the face is shorter and of course as a result of that the nose folds are starting to appear. The dangling lips are almost unrecognisable, leading to the more common saliva-related pyoderma often seen on their chests and necks. This is completely unacceptable and has to stop right now. …2018. Hugely drooping lips, nose roll, shortened nose and eyelid defects. Along with all the panting and over-heating I imagine there was in the brachy show rings that day the bulldog breeders managed to get much of the veterinary profession hot under the collar too. A sign on the bulldog stand stated that the main reason for bulldog caesareans was a lack of out of hours veterinary care. I’m struggling to know where to start with this. At best it is completely untrue and misleading and at worst I strongly suspect it verges on being libellous. I hope that the profession’s representative body the BVA will be looking into that. Every veterinary practice in the UK has to, by law, provide 24 hour veterinary care. So what could the reasons for c-sections be I wonder? Possibly the mismatch between the wide head and forequarters of the puppies and the narrow pelvis of the mother? A recent study found that around 80% of French bulldogs are born by caesarean section. If lack of out of hours care had anything at all to do with this we would be seeing sharp increases in c-sections across all dogs. It’s such utter rubbish it’s hard to believe anyone was stupid enough to write it let alone put it on a display. It’s ten years this year since Pedigree Dogs Exposed caused the BBC to stop showing Crufts (I would strongly urge Channel 4 to do the same) and I feel breed health has not improved in that time. For some breeds like pugs and Frenchies it has certainly got worse. I’m tired of hearing that it’s all because of puppy farms and imported dogs. IT’S NOT. These are show animals bred by people who claim to be the best breeders in the world and they are suffering and deformed. Until the Kennel Club makes realistic improvements to the breed standards nothing will change and breeders, puppy farmers and importers will still keep producing animals that look like the photos in the Kennel Club’s OWN book and thousands of those animals will go on to suffer. The breed lovers say that vets like me should keep our personal opinions to ourselves. Well, I disagree. This is both my personal and professional opinion and I am as entitled to it as you are to your views. Why are vets supposed to shut up and put up? It seems to me that some breeders only want vets to be outspoken if they agree with their views. Well many of us don’t I’m afraid and the petty bullying and abuse on social media won’t change that. We are tired of your anecdotes of a handful of healthy pugs or bulldogs you’ve known versus a mountain of peer-reviewed science out there that shows that extreme conformation causes unnecessary and avoidable suffering. There are whole books devoted to breed-related disease. Until that stops forgive us if we continue to express our concerns and try to encourage prospective owners to pick moderate animals that are more likely to enjoy a life worth living.